Porsche has just launched a new generation of the 911, and it’s presenting it to the visitors of the Montreal Auto Show. Making its world debut just a few months ago at the Los Angeles Auto Show, the new 911 (code name 992) is now shown for the first time in Canada in Montreal. Eighth generation of this prestigious line launched in 1963, the new 2020 Porsche 911 is the biggest and more technologically advanced one yet. Available for now in S and 4S variants, the Porsche 911 is now powered by a twin-turbo, 3.0-litre flat-six engine that develops 444 horsepower, or about 30 more compared to the outgoing generation’s mill. On the track, Porsche says that its new 911 can blast from 0 to 100 km/h in 3.7 seconds when equipped with a rear-wheel drivetrain, and 3.6 seconds with AWD. We can obviously expect many more iterations of the 911 to come in the next few years, all more beastly than the next. Porsche also confirmed that the new generation of the 911 will be the first in its history to boast a hybrid powertrain. 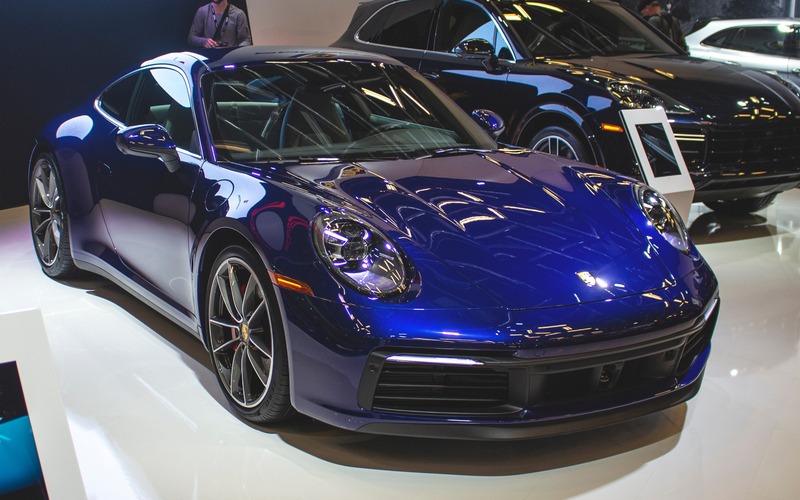 In addition to the new 911, Porsche also presented two other new models at the Montreal International Auto Show. Visitors can check out the 2019 Porsche Macan as well as the 2019 Porsche Cayenne Turbo, two SUVs that defy convention by offering good versatility while preserving the brand’s trademark sporty character. The Macan, launched only five years ago, is already the bestselling model in the lineup. For 2019, the Macan gets a mild redesign and adopts a new-generation turbocharged, 2.0-litre four-cylinder engine. As for the Cayenne Turbo, it now boasts a twin-turbo, 4.0-litre V8 that develops 550 horsepower and 567 pound-feet of torque. Thanks to this prodigious output, the SUV can rocket from 0 to 100 km/h in 3.9 seconds!